It’s important to start an internet business because salaries are plummeting around the world for the average middle-class worker. The median real salary in America, today, adjusted for inflation, is almost 10% lower than it was in 2007. It’s lower than it was in the year 2000. For those on wages, the average hourly wages are lower, after an adjustment for inflation, than they were 40 years ago, according to a recent U.S. News & World Report article. The same report also stated that the U.S. economy lost nearly 9 million jobs from 2008 through to 2010 and the majority of the losses were in the high-paying sectors. Roughly 75% of Americans are living paycheck to paycheck, with essentially zero savings. According to JP Morgan Chase, they predicted that economic growth in America over the next few years will be a lowly 1.25%. What this means is that in the future a salary may not keep your family afloat. Even two salaries may not keep most families afloat. The idea of retirement particularly for tens of millions of Americans doesn’t seem to be a realistic option anymore. But I don’t want to focus on the death of the salaried employee in America. Instead, I want to tell you what you can do about it because there is a great solution. The world is changing fast and for many it’s may even be a bit scary. But what I’ve learned over the past decade will be extremely useful to just about anyone, even people looking for a job, a career change, people who want to work for themselves, people who want to pursue their passion, even people who are retired or perhaps looking to retire soon. If you want a better retirement or perhaps just help working out exactly what to do with your life in view of all the current economic uncertainty. If you want to make more money, without a corporate job, please pay attention. If you want to start a business or a new career, this is going to be great news for you. If you want a job that pays you way more than the average employee, you are going to love this. As I see it, many America’s institutions are desperate and are slowly going broke. They are doing whatever they can to cut costs and pay their employees less money. I talk more on this in a previous post as to the reasons for this and how the economic system is imploding. But on the bright side, corporations are also losing their power to make choices over us. They have much less say about where we work. What we do and how much money we can earn. In short: The “gatekeepers” in nearly every industry are simply disappearing: Finance, manufacturing, publishing, entertainment, you name it. Once you understand what has gone wrong with the free market system and realize that the qualities required for success online are the same for any business you soon realize that the potential for success online is far greater. Recently, I read that the average multi-millionaire has at least seven different sources of income and are getting richer while the rest are getting poorer and are stressing about their financial future. According to the Federal Reserve, the top 3 percent received 30.5 percent of total income last year, and the next 7 percent received 16.8 percent. Leaving barely over half of total income for the remaining 90 percent of employees. “I want to help people get rid of the fear that comes with worrying about having so little future economic security. I want to help people achieve the sort of security I think they deserve in this age of innovation because I believe everyone wants a better life than they currently have”. I want to help you do what I have done. I have not had a traditional job or a fixed salary in decades, yet I have found dozens of ways to make extraordinary amounts of money, doing things that I love. One of the most important things I have learned is that you need to create better habits for yourself, if you want to be successful (at anything). You see, successful people aren’t any smarter than you or I. They just do things, that eventually become habits, that automatically makes them more successful. Whether it’s success on the sports field, at work, or in life. It comes down to being consistent with doing the ‘right things‘. Consistently doing the right things, soon makes you an expert in the things that you do. Following a successful formula and learning, by doing a little each day, improves your level of skill and eventual brings you the outcome that the higher skill level attracts. I think you are going to really benefit from what I’m going to tell you and how you can develop a new skill which could take you from an average, low-wage employee, to a highly skilled and high-income earner. 1. You can follow in the footsteps of others, and learn the ancient secrets of wealth creation and implement them, to create wealth. 2. Or you could be more realistic and learn how to become the creator of your own online business and have people follow you. But let’s get one thing clear, learning how to start an internet business from home and earning money, is not going to be a mouse clicking, do nothing – EASY process. You are going to work hard learning (or perhaps unlearning) internet marketing, website construction, content creation, traffic generation and many other things before you can expect to make money online. To succeed online, you need to open your mind to learning and be “teachable” because getting an education and learning the ‘smart‘ ways to build websites, how to promote them, how to create engaging content and how to use search engine optimization tools and a variety of different marketing strategies and methodologies in such ways as to build a long term, online income is what is required before you will make any money. “Fortunately you can learn all this and more, in one place and you can start for free” (without needing a credit card to get started). This is where you access the education that will teach you how to build a long term sustainable, successful online internet business and whereby, working hard, putting in the hours and going through the program learning the processes and using the right tools to rank high in Google. You will succeed at your internet business from home. How long it takes is entirely up to you. You can learn as slowly or as quickly as you want. 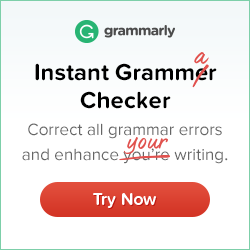 You can trial this entire program without spending a single cent to see if it’s for you. You can try it first, build a website or two and make money before you pay anything! If you develop your skills and implement each week your new knowledge, in less than three months you would know more than 95% of most internet marketers out there. What Makes this Program So Good? “Prior to getting this education, I had been struggling and getting very frustrated trying to learn everything by myself”. However, once I began with Wealthy Affiliates and began implementing what I was learning I was able to get multiple pages ranking in Google. This is for pages on the very website you are on now. WOW!! – This is the result of using the information that YOU will soon be learning. Most people would be pretty excited to get a page to show up on any of the first ten pages of Google. However with the right education, the right tools and a little work YOU could get on the first pages of Google, just as I have. 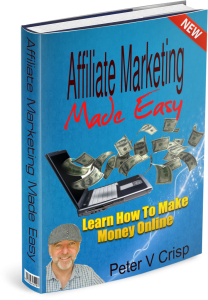 Take a look at my post Affiliate Marketing Made Easy (a Google page one post) and read the many others here on this site. Or get a copy of my book and decide if this education program is right for you. In this you can read more about what you need to know and what you need to do, to get started on your journey. However don’t make the mistake of thinking that all you need to do is just get the book. – No! you will need to take action and implement the ideas and follow the steps in order to achieve success. Inside you get more information about the tools and skills you need in order to begin your journey to making money online. Getting the book is entirely optional, you could just go directly to Wealthy Affiliates and take a look at the program by clicking on the banner below. It’s free to join. Take action and learn how to make money as an affiliate marketer. Get an online education. Get started with Wealthy Affiliate and take advantage of the best online internet marketing course you can start for free right now! and learn how to work at home and make money. 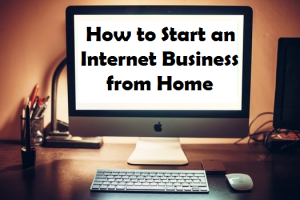 If you enjoyed this article “How to Start an Internet Business from Home” please feel free to socially share and leave a comment below. And if you do I will reward you with a free PFD copy of my book; Affiliate Marketing Made Easy. So what are you waiting for? Accept my bribe, leave a comment below and the book is yours. Oh…One more thing! 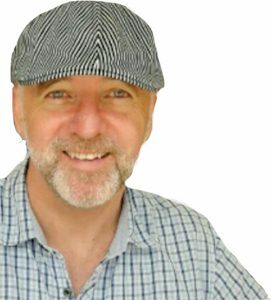 You might like to check out my course, Habits of Highly Successful Internet Marketers – see the link below”. I’m happy I found your article. I was lokking for possibilities to starting az internet business possibly from home and your post was exactly what I needed! I’m so tired of working according to protocols and making the dreams of others come true… I’m doing changing shifts and in december I had to work during Christmas; I couldn’t go home to my family. I want to go home when ever I feel like going home. I’d like to give it a try. I grabbed your e-book, thank you! I came the name of Wealthy Affiliate across more often the last months and it seems like a good opportunity to me. I have one question though: don’t you think that the IM market is full? I feel like everyone is trying to do it and there are still just a few who succeed. Do you know what the secret is of succeeding? I’m not a genius but I’m working hard. Do you think I can make it if I stick to my plans and follow the steps you mentioned? Great thorough article you have here. I was actually motivated by the fact that you showed a picture of coming up on page 1 for multiple articles that is pretty impressive. Right now I am having a hard time on getting on page 1. The closest I got was Page 2 and Page 3 for a few of them. It just seems like it is also changing a lot. I wonder how do you get it to number one. Do you try and get more comments on the article or do you add more content too that article. I’ve been with Wealthy Affiliate for 3 months now. So far I’m having so much fun with it. I had zero knowledge about online marketing or developing website and it’s fun just to see people visiting my website and that I can contribute something postive to people out there. I’ll see where it will take me further down the road. Pretty stoked about this program and what the future will show me! You could say that I am one of those who are living paycheck to paycheck. I am a member of Wealthy Affiliate and I have been working on my website for two months. I’m indexed in Google and starting to get some traffic. I have had a few signups and will continue to work on it to build upon my success. I dream of the day I could do this full time and make a real income from it. Maybe I should read your ebook! Here is why I love to have an internet business from home. First is that I enjoy personal freedom. I don’t have to spend lot of hours in traffic to and from work everyday. No more lost time spent. Second is increased productivity. I don’t have to budget time and energy for commuting to and from work or for meetings. I use these energy to make my business a success. You are certainly making it understandable and less scary to know about and to try online marketing. Yes, there are so many scams out there you sometimes don’t know where to turn and what is right and where you should stay the heck of it away. Wealthy Affiliate certainly sounds not only sincere, but it also is and I like that. That’s some impressive Site Rank you have there! I have been checking on mine using Jaaxy and was a bit disappointed that some of my targeted keywords are still ‘Not Found’ after months of publishing. What could have I done wrong and how can I go about improving my page ranking? This seems like a really interesting option – one I’ve been looking into ( with no real luck ) over the past couple of weeks. I’ve been taking a short course of YouTube videos on marketing ( all free ) but they seem to be a little thin on the ground overall. The training you mentioned here – do they also provide video lessons and are they also free? In fact many people do try out the free option as they are usually “gun shy’ after being scammed online before and have been left disappointed. Yet many soon see how different Wealthy Affiliate is in terms of quality and value. Sp please take the free look and you will be pleasantly surprised that you have found the right place. I can totally relate to this article. When I was growing up, it seem like a one salary home was fine. Now, it seems like you have to give so much just to get by. This is not the society I grew up in. I’m so glad that technology is rapidly changing our lives. The only way to take advantage of the internet is by just taking action. A service like Wealthy Affiliate is actually a goldmine. The tools and service they provide is what will get people the income they’ve been dreaming of. Great Article! 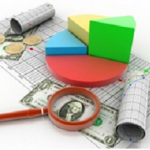 You are right on target with your assessment of the current financial situation. Several members of my family are now making lower wages than they did five years ago. There may be more jobs out there now but they are not paying as well as they used to pay. I saw my retirement coming up and did not like my options so I started looking for ways to earn money from home too. I have seen a lot of programs out there but you are right, work has to come before the money. It is good to know that there are still legitimate places where you can learn the skills needed to create your own business. 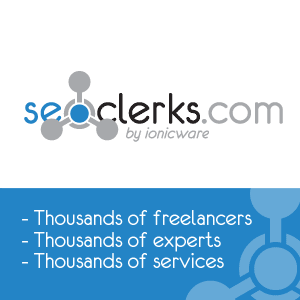 It is pretty impressive for you to get that many page one rankings for your site. I would have to say that you are doing something right. Hello Glenda Thank you for your comments. 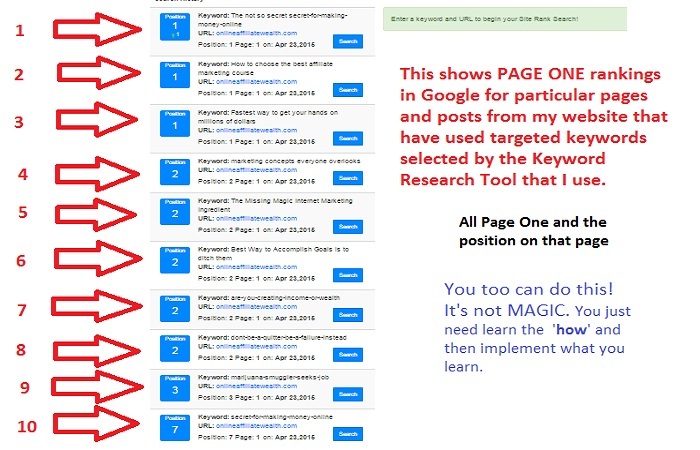 Page one rankings are not that hard if you have the right tools and you know how to use them. I use Jaxxy and the knowledge I learned from Wealthy Affiliate to get many (not all) of my pages to rank well. What is so great about wealthy affiliate is that almost anyone (like me) can learn to make money online. 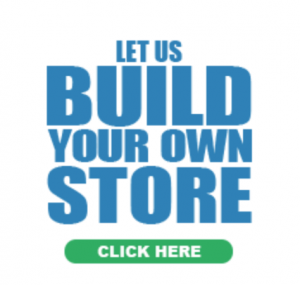 As you have said the bricks and mortar world is changing and people are looking for alternatives and fortunately Wealthy Affiliate provides the right education to help a lot of people earn a good income online. You know, me and another person was just talking about how the middle man is getting smashed in the world of business. People are making much less…and it hurts everyone. You bring out the solution very well, and it’s a great solution! Very important point you brought out. Very thorough and organized post! Also, a free eBook yay! Hello Peter, you really have an impressive points as to why everyone should get an alternative means of earning money, since the global economy is plummeting. It has become imperative to start up something you can have control over. And I think you have just provided that. I like the page I was redirected to when I clicked one of your links. Can you please explain to me how you did it? Hello Nnamdi Thank you for your comments and yes it easy to redirect people from one page to another you just create a link to the page or post you want them to go to . So as you are creating or writing your post you insert a ‘link’ (see edit section) in the word or phrase you want to be ‘linked’ so that people can click and be directed elsewhere. PM if you would like a better explaination. A very interesting approach to promoting online business. As sad as it is it is so true. Today’s economy does not lend itself to the growth of small businesses. Higher overhead and decreasing profits make start a brick and mortar business today less viable. Most of us think to the future and you have presented an accurate picture. Website offers very interesting information about starting a home based business. Without a doubt I will be coming back for more information in a near future. As an ex-blue collar worker, I am all too familiar with seeing a paycheck that continually shrinks when compared with inflation. I honestly don’t see that trend reversing in my lifetime and soon, it will require 3 paychecks to maintain a household. At the same time, we have the internet which is still in its infancy compared to most other industries which means abundant opportunities for those who are looking and ready for it. Why fight a system that was set up for you to lose when you have choices? I believe everyone should start an internet business today! Some pretty depressing facts on wages and salaries at the beginning of your article. In fact, most things related to the traditional business world seem to be quite dispiriting at this time. However, it’s nice to see that you give people cause for a little optimism, with the idea of starting an internet business. I agree with you, this could be the ideal way to start earning some extra cash or with time it could become even become a full time occupation. You are correct in telling people that working online is a lot of hard work, people often seem to get the idea it’s easy and fast (must be due to all the scammers with their push button systems) Your results from the training at Wealthy Affiliate are remarkable, this just goes to show what an excellent program it is. Hello Peter and thank you for your feedback. yes it is very depressing and yet despite this people are still waiting around for the government, the very people who have created this mess, to fix things up for them. Unfortunately they will be bitterly disappointed and this is why I am telling people abut Wealthy Affiliate because you can learn how to make a full time income online if you know how. “How to Start an Internet Business from Home” is a great read… even for someone like me who has had an internet / home-based business for years! You really grabbed my attention with “…However once I began with Wealthy Affiliates and began implementing what I was learning I was able to get multiple pages ranking in Google;…” Then you show your actual page ranking. WOW, Peter, I believe you do know the SECRET to making money online. This certainly is a powerful testimony for Wealthy Affiliate’s training. I will be following your posts and eBooks and hopefully, soon – my posts and pages will be ranking as high as yours. Great article. Keep the helpful information coming! With all the opportunities available to us online, unless you just don’t need the income, it escapes me why more people don’t have online businesses.. Even the wealthy have several streams of income going. That is smart since we live in such precarious times. Too many of us depend on one source of income and are left devastated when something tragic happens like being downsized like my husband was in 2008. Wealthy Affiliate here I come……. Love reading your posts Peter. Thank you. Boy you paint a realistic picture of what so many families are dealing with living paycheck to paycheck. As a mortgage broker I saw this time and time again, people refinancing just to use their equity in their homes to stay afloat. Now that I have been living 4 out of the last 6 years in S. America, I see more and more Europeans and US citizens coming down to S America in astonishing numbers because the dollar or euro just lasts so much longer down here. One thing I have done to stay ahead of the curve is to diversify my income sources and one being what you recommend here on your site. I learned how to start an internet business from home and it’s a nice little earner that pays for many of my monthly expenses. You also are correct in letting people know that it’s not just a point and click venture, but requires real effort, the desire to learn, and then the will to TAKE ACTION on what you learn. 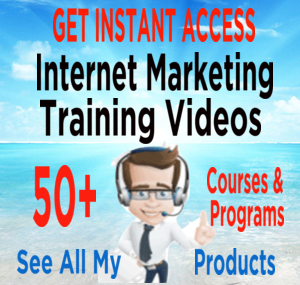 I have used several educational programs to learn internet marketing and importation. And out of these two, internet marketing provides the lowest risk and greatest reward. I also used your recommended program, Wealthy Affiliate, and they gave me the best training to create the foundation to my online business. I am curious about your Ancient Secrets video that you linked in this post. Can you tell me more about it?